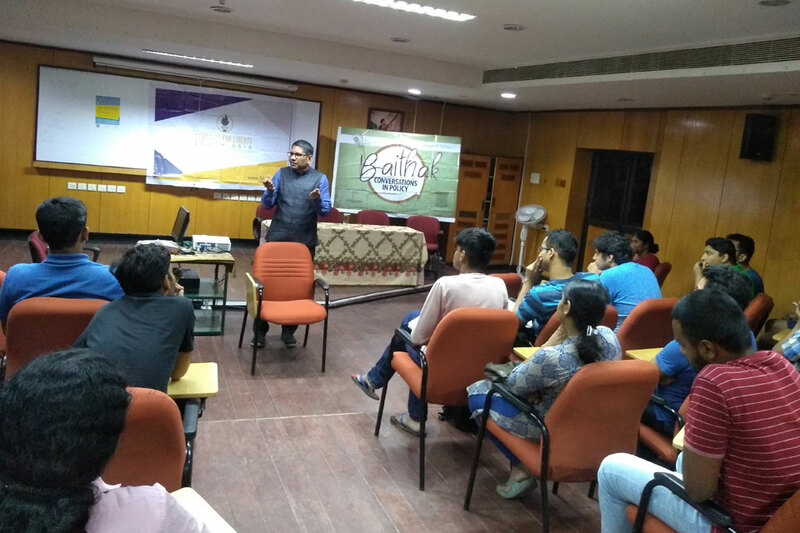 On 13th February we conducted Baithak, our monthly policy dialogue at IIT Madras. Dr Parth Shah, President, Centre for Civil Society, facilitated the discussion addressing India's job crisis, equating it to an enduring 'entrepreneurship crisis'. Dr Shah also highlighted the role of poor quality of schooling and higher education, and the un-ease of doing business in India, in exacerbating the country's job crisis. Drawing on CCS' on-going work for the rights and recognition of street vendors, the discussion explored various policy roadblocks thwarting entrepreneurship. For instance, street vendors carry out their trade in public spaces, but since they do not exercise any rights over the land that they carry out their trade in, it makes it difficult for them to expand their businesses'. This lack of property rights for street vendors is symptomatic of the larger roadblock in ease of doing business in India. To know more about the status of street vendors in India, read our Progress Report: Implementing The Street Vendors Act 2014 here.